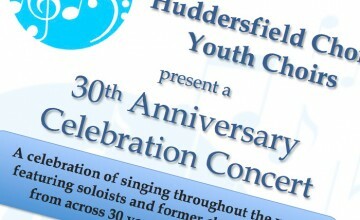 The Huddersfield Choral Youth Choirs comprise three choirs which showcase the musical talents of young people in the local area. 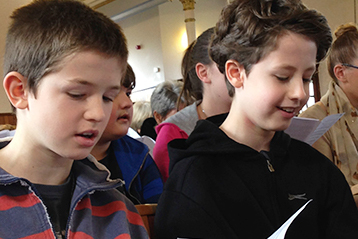 Working in collaboration with our parent choir, the prestigious Huddersfield Choral Society, for over 30 years the Youth Choirs have gained their own national reputation for high quality singing and musical development. 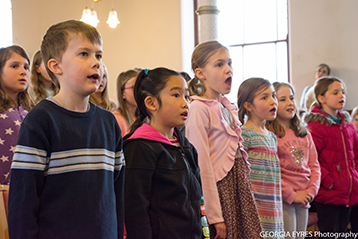 Our aim is to continue to provide children and young people with the opportunity to develop their singing potential in an inspiring and fun-filled environment. Check out our YouTube channel below to see the choir perform, and have a browse round our website and see what we do! 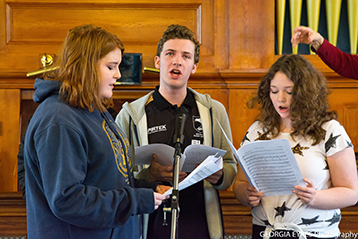 The Youth Choir is made up of talented and versatile singers aged 13 to 21+ who come together to socialise and develop their abilities to perform in a wide variety of musical styles. Aged between 6 and 13, the Young Voices are an enthusiastic group of talented young people who love to come together, learn performance skills, grow in confidence and above all, sing! Vocalise is a section of members with unbroken voices from both the Young Voices and the Youth Choir. Vocalise encourages choir members to enhance their knowledge of music and inspire a continued love of singing. Why not come and sing and see if your voice is ready to join an amazing choir? To apply, fill out the form and one of our committee members will be in touch to make arrangements. The choir has been getting up to all sorts in its 30th year! Read our newsletter to find out about our 30th anniversary celebrations. The choir is run by a dedicated team of volunteers. Read on to find out who we are! Huddersfield Choral Society is immensely proud of the Huddersfield Choral Youth Choirs and all that they achieve. Whether they sing as a full choir or as separate sections, it is always a great joy to listen to them and also to perform with them. The unfaltering high standards of performance of our young people, combined with their energy and joie de vivre, make them the jewel in Huddersfield Choral Society’s crown. Copyright © 2019 Huddersfield Choral Youth Choirs. All rights reserved.